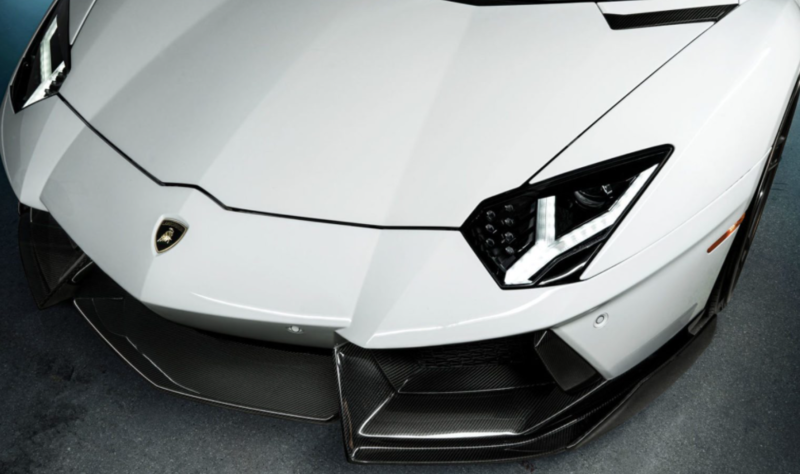 THE FRONT LIP OF THE RENATO AVENTADOR MIRRORS THE BASE PRODUCT AND REFINES ON ITS GENERAL PURPOSE: LEAD THE ENVELOPE OF AIR AND DEFINE THE TURBULENT PROFILE OF THE VEHICLE. 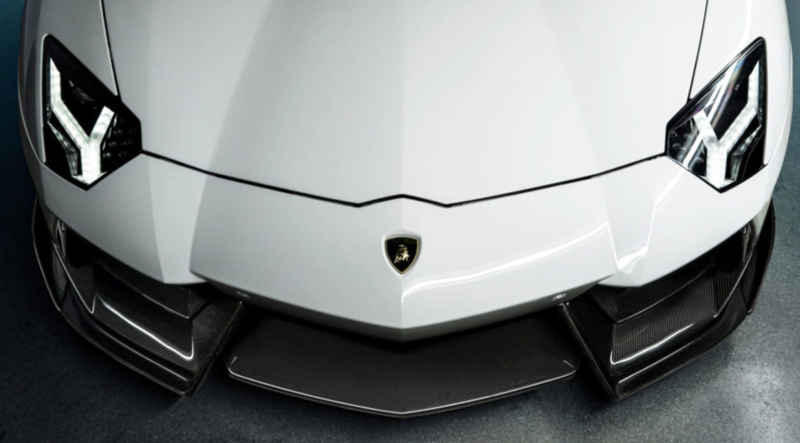 THE SINGLE PIECE FRONT LIP EXTENDS THE HORIZONTAL PLANE OF THE LEADING EDGE BY OVER 3 INCHES, PITCHING AT A MORE GRACEFUL ANGLE TO PROMOTE AN IDENTICAL UNDERBODY STREAM WHILE ENHANCING VERTICAL LOADS DOWNWARD AND PROMOTE VENTILATION TO THE FRONT RADIATOR DUCTS. THE FIXED FINS OF THE FRONT LIP DEFINE THE PRESENCE OF THE FRONT END AND SERVE TO HOLD FAST MOVING AIR CLOSER TO THE BODY BEFORE ENTERING THE FRONT BRAKE WELLS.